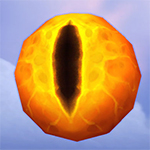 The achievement is made out of 10 sub-achievements, each asking you to complete 15 Battle for Azeroth world quests with pets from a specific family only. Since there are more than 15 world quests possible, you can pick and choose which ones to finish with each family. 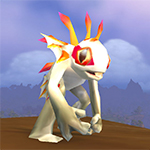 Also, at this time, tamers that have their world quest available can be fought repeatedly, which makes the achievement even easier to complete, as you can go through each family one after the next without having to wait for the world quest to be up another day. i was browsing the achievement on Wowhead and came across a post by Terminton that helped me ALOT. He shares a pastebin link with all 150 teams, so all we've got to do is import it to rematch. Again, all credit goes to Terminton !! I just did a WQ tamer and followed up with two additional families after the initial one. And didn't get credit for the last two families. So is this a glitch or something? usually when this happens to me, be sure to double and triple check that every single pet in your team is the correct family. sometimes it seems like a pet should be in the correct family, but it really isn't. 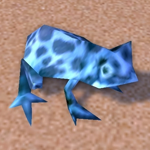 also, make sure you or your addon isnt sticking a level pet into the strat by accident. that has happened to me in the past also. i only needed one or two pets to beat the tamer so i didnt even notice that the third slot was the wrong pet type. good luck. let us know! i've had that happen when I accidentally had a level 24 pet in the lineup. ALL pets have to be 25!!!!! I second Bunnies reply. I did not get credit for the fights on some occasions either and found out it was because not all my pets (in the correct family) were level 25. Yep, I also had that happen and then noticed I had a lvl 24 pet. Leveled him and then it completed. curious how you all take this on. Do you focus say on one tamer and go through all the families until that one tamer is done or do you go with a family of pets first and travel around until that family is done? I choose a zone, and do all the tamers in that zone. When I'm fighting a tamer, I do each family before moving on to the next tamer. assuming you have the roster, definitely just run through all the families while you are at the trainer.. i imagine it would be quite time consuming and inefficient to travel that circuit ten times if you were to them one family at a time. there are other reasons also, like spotting weaknesses in your roster, missing pets to target, or maybe just determine that you should skip a certain family for a specific trainer altogether. Yeah thats how i go about these type of achs as well, go to a zone, pick a tamer, rotate the 10 families through, next tamer in that zone. Zone done -> next until achs pops. Got full roster, not doing dailies anyway, so its a one-time project thing. I got kind of burned out on pet battles doing Family Familiar back in Legion, so I don't have the energy to complete a tamer in one go. I go to a tamer who's up as a world quest that day and do a couple of families. It will take me longer to finish, but at a more tolerable pace. I'm with Zuckerguss on this one - I'm in no rush, so just do a couple of the whichever world quests are up each day for the achieve, and maybe a few that reward battle stones or pet charms and move on to do other things. I'm still building up my pet teams so if I don't have a team I might come back to the fight at a later stage when I have enough charms to buy an upgrade stone, or see if I have an alternative team - either way I'm having loads of fun, and can see merit to doing all the tamers in a zone as well which means not going back there as other posts have mentioned. I made a google docs spreadsheet for keeping track outside of the game, should anyone desire one :) Let me know if there's some quality-of-life change you might want added to it and I'll see what I can do (not super familiar with Sheets). 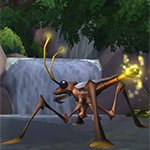 Any chance we could get the Trainer names in the guide somewhere alongside the World Quest names? I keep track of my achievement mostly through the Trainers, since they're listed in the criteria, and I'm always having to look up or second guess which trainer belongs to which WQ. I know it's a minor thing, but it would be super helpful. Thanks! Me too, it wasn't a problem before the Family Battler achievement but now I keep forgetting the name of the trainer. This was one thing I thought would be nice too, but have since noticed if you mouse over the "vs" (the specific quest name) at the top of each strategy page there's a pop up box of the trainers name. Here is a link to a spreadsheet I made that has this info. feel free to make a copy. Awesome, thanks! Any chance of adding a column with coordinates as well? anyone can add anything to theirs. just hit file > make a copy. edit as desired. I too would like this to be updated on the site too, to be more in line with the past ones, and more accurate to other (and newer) people. 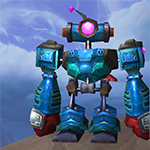 You no longer need the WQ up to be able to fight them, since the 8.1 changes, and instead of having to mouseover on the WQ name to see the trainer, where on some people's PC that might take some while to load, I think it would be better to 'swap' their naming, putting the name instead and the WQ on tooltip, or, tooltip to show the trainer's image in-game. It'd be nice to have some starred or highlighted tamers or even just a thread with recommended tamers for this achievement. So far in my battle journey, I definitely recommend "What's the Buzz?" 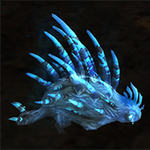 Most fights there only require one specific pet. There are ... 19? ... possible tamers, with 15 required. So, which 4 to avoid, you mean? 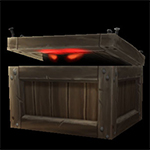 I'd say Rogue Azerite, Captured Evil, and Not So Bad Down Here are the only three likely to give any trouble on any family, if you have the pets. And flipping through strats, I haven't noticed a need for any exotic pets. By now, I've done 12 using almost entirely the cheese teams I listed below, with some small substitutions. Maybe someone can think of another that can give problems? But even if so, you don't have to complete the same 15 tamers on all families. If you have a problem with Not So Bad Down Here / Elemental, you can make that Elemental number up from another tamer somewhere else. That's true, Tamers to "avoid" would be better. I'm thinking of players who prefer to go from tamer to tamer and want to obtain the achievement in one go with the fewest stops and avoid tamers with difficult family battles. Well, I just finished the achieve. I went tamer to tamer, and simply ploughed through all ten families without consulting guides. I had actually completed Not So Bad Down Here except for Elemental and Beast on my first day, before I wrote. I didn't go back for that, although I'm sure Beast is not hard; I can believe Elemental is. Everything went smoothly except Grady Prett Pack Leader / Humanoid. 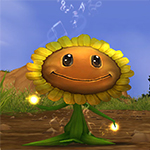 I did work my way through it eventually, and I see Setione has a strat that looks to be a more reliable refinement of the basic idea that eventually worked for me, with Frolicker and Terky. Those speeds are hard to handle! Can we add a mass-import rematch string like we had for previous achievements please? OK, so I've started this (late, I know) and am in no rush to get through it. I'll do some of the easy families while a quest is up that I was going to do anyway, maybe a few more, and leave myself with the hard ones as a treat for later. 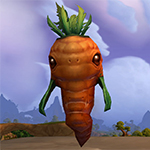 Back in Legion I made Basic [Family] teams on general PvP principles, and wrangled my way through with those. I'm not feeling especially motivated around the simple stuff now, so I'm throwing together a few unthinking cheese teams that mostly work on most battles, without having to set something up specifically for every one. If you have a lot of pets, and dupes, do you have some generic teams like this? 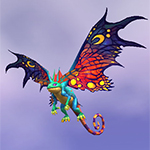 Dragons: 3 Nexus Whelplings. Throw in a Conflag Dragonhawk or two against mechs. Lots of other possibilities if needed - EPW, NFD. Mechanicals: 3 Iron Starlettes. May throw in a Bling if I find a need. 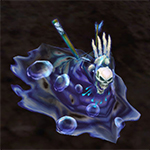 I'm thinking Rogue Azerite and Captured Evil will be a problem, when I get to them. 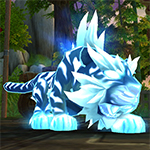 Magic: 2 Hyjal Wisps with Blast, dodge, Wish, and a third magic pet chosen for the battle. S/S Arcane Gorger is possible. 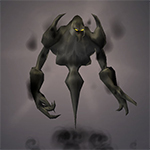 Also something with Arcane Storm and/or Surge of Power, depending on the case. Aquatic: P/P Emperor Crab, Puddle Terror to mitigate flyers with Sunlight and Nature's Ward, otherwise a second Crab or Crawdad, P/P Fen Crab for the Rip/Blood nuke, though Spineclaw with the heal might be better now I think of it. Elemental: 2 Autumnal Sproutlings with Fist/Heal/Whatever. 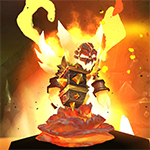 Azeriti packs a serious punch with Crystal Overload -> Azerite Spike. You can get very clever with Elementals if you need to, but mostly you don't need to. 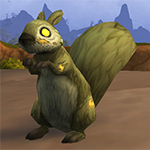 Undead: My trusty Blighted Squirrels that I've loved since Mists come into their own here, with Woodchipper / Crouch / Stampede. Just as in PvP, the racial is a big bonus. Flyers: Three Ikkys with Black Claw / Flock. 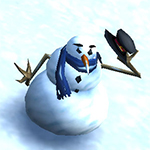 Or a Foulfeather. Anything with Flock, really. Darkness is not what it was, but the Warden's Owl still has some juice, and Darkness is worth trying. 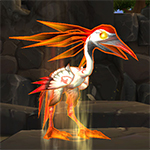 If that doesn't work, then we have to think about Teroclaws, Moths, Bloodbeak or similar Rain Dance/Noc Strike combo. 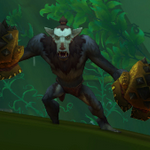 Beasts: Three Zandalaris with Black Claw / Hunting Party. 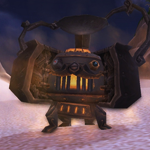 Shinchomper's Aura of Gonk is hilarious; just don't bring it out until Gonk is ready. Thaumaturgical Piglet is your answer to flyers. Humanoid: The hardest family for me to find an unthinking team. Idols are possible, rolling over everything, but slow. Rotten Little Helper does a lot of damage. Squirky and Terky bring interesting resources, but require thought and planning. 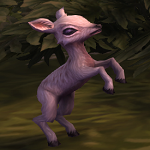 While the achieve "Battle on Zandalar and Kul Tiras" said you had to have a team of lvl 25 pets but it accepted teams of any level for progress (I know, because I didn't have a team of 25's at the time and still got it), this one says 25's and means it. 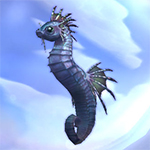 Don't waste your time throwing in level pets for quests that only require one or two pets. No reason to use level pets anyway, the XP gain was gutted pretty hard in sacrifice to them being able to be battled regardless of WQ or not. OK not trying to be a massive buttkisser, but I just finished Family Battler and want to thank all the users who contributed strats to the article, as well as special thanks to DragonAfterDark, whose strats I followed for 85% of the fights. Finished this up as well tonight. I feel like I would rank it the easiest out of all of the Family meta achievements. Strategies are solid by Dragon. A few by others as well and a few I made as I went. I only used 51 bandages which is a huge success compared to the 281 I used on Argus. Great guide, here's to the next one. DragonAfterDark: I also want to thank you. Some of the strats didn't work for me, and I made a few suggestions on some, but overall it was tremendously helpful. I really appreciate the incredible amount of time, patience, and work goes into this. Thanks so much for your efforts. No problem. As for suggestions, I always appreciate when people help me streamline the strats. With most of these fights being RNG heavy, the choices are made based on what worked the majority of the time no matter what moves the enemy makes, and for as many breeds as possible. I welcome people to improvise during strats if they can get other moves in, but if I haven't added them in, it's usually because I couldn't guarantee survival in using that move again across the majority of my iterations. Or if I use a specific move, like Dive, even if it does less damage, it's to avoid a specific attack from the enemy like a DoT. 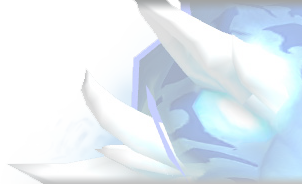 Or I don't use something to prolong the fight, like Shell Shield, because the next pet in the line will end the battle faster. 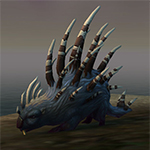 They are repeatable as of 12/12/2018 and the tamer does NOT need their WQ active! 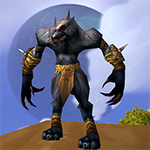 They haven't so far, but I find WoD tamers to be too time-consumptive for the return. Ashlei in WoD will always be a solid tamer to hit on a daily basis due to the location close to the garrison and ease of fighting. 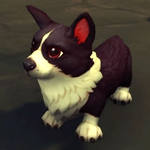 Plus you can level 2 pets in 1 fight! Am I missing something? I have Family Brawler not Battler and it asks you to win 10 pvp battles in each family. As said above, it's a feature of patch 8.1, which will arrive on December 11-12th. 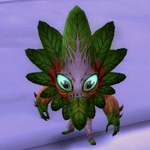 The Non-Trainer fights (Unbreakable, This Little Piggy, Jammer, Crawg, and Mind Controlling Plants) should be removed from this page, much like they were in Legion. They are not required for the achievement. That makes me a little sad, especially since I think I finally found a critter strat that worked for Bloodtusk, heh. I agree, it would be fine! Why remove them ok they aren't in the list but so what there are strats listed that may not be noticed under the world quests and every bit of info is useful. 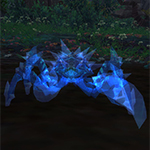 Are we going to have a ready-checker for this one like you made for the Legion equivalent? Unfortunately I won't have the time to create that. 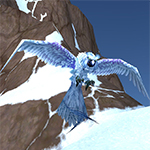 I wasn't here in Legion when they added family-based achievements, but just to check: they aren't going to be buffing any of the tamer's pets, are they? Like changing them from 'rare' to 'epic'? No. 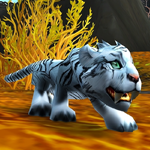 Blizzard have said they will not be boosting any pets in any way. 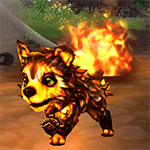 25 will remain the level cap and Rare will remain the highest grade for companion pets. 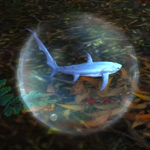 No npc pets currently in-game will change. Phew. I've been doing some strats for the new Family Battler, and wanted to make sure I wasn't going to have to delete them because I jumped the gun. Thank you! Well, if they aren't changing anything about the pets/trainers, it's simple enough to adapt strats we've already done, which is what I was doing at first. I also made sure I wasn't encroaching on anyone else's strats when I made the new ones. 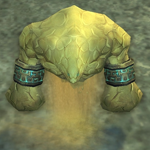 Even if RNG works with you, is it even theoretically possible to beat Rogue Azerite with Mechs?